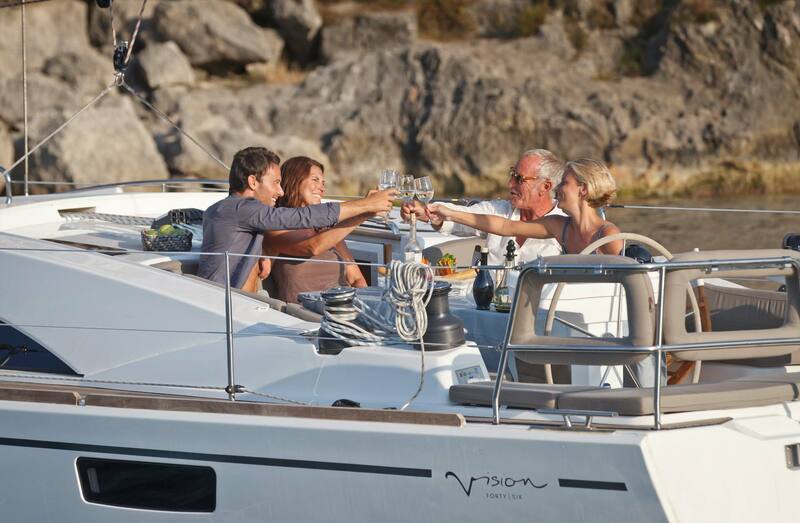 The Vision 46 is a yacht that combine elegance, comfort, ease of handling, and been awarded the 2015 boat of the year by Cruising World magazine. 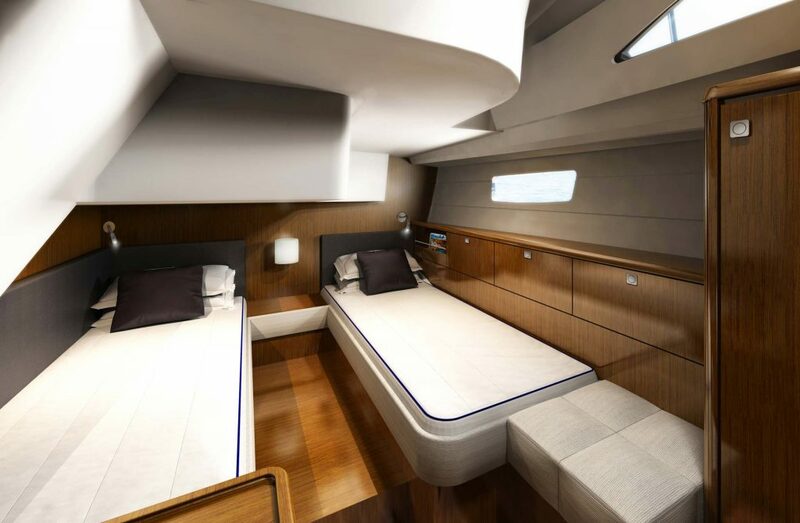 The Vision 46 is a yacht designed by Farr yacht design, that takes advantage of the latest construction technologies develop by the Bavaria engendering team, and the result is a state of the art performance-cruiser, with elegant forms , functional cockpit and practical high end interiors, that is safe and easy to handle. 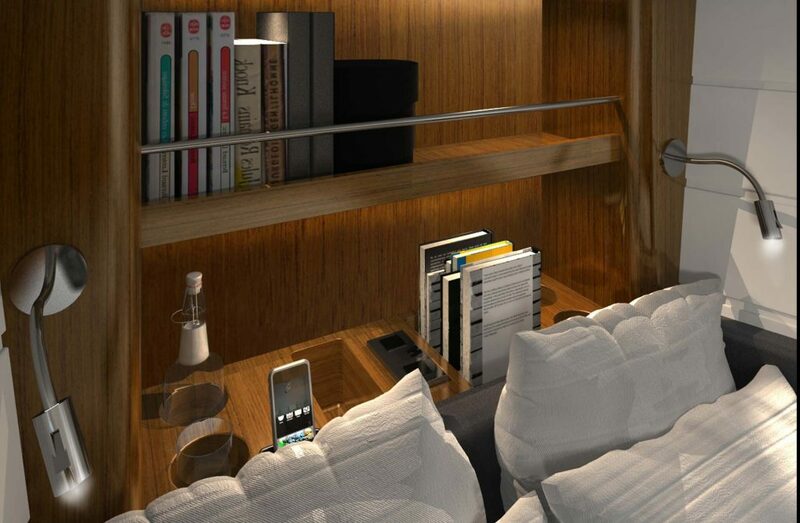 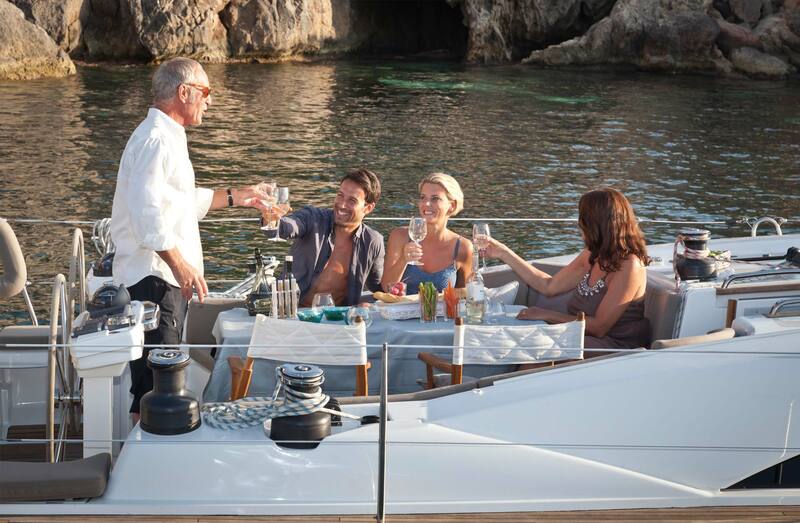 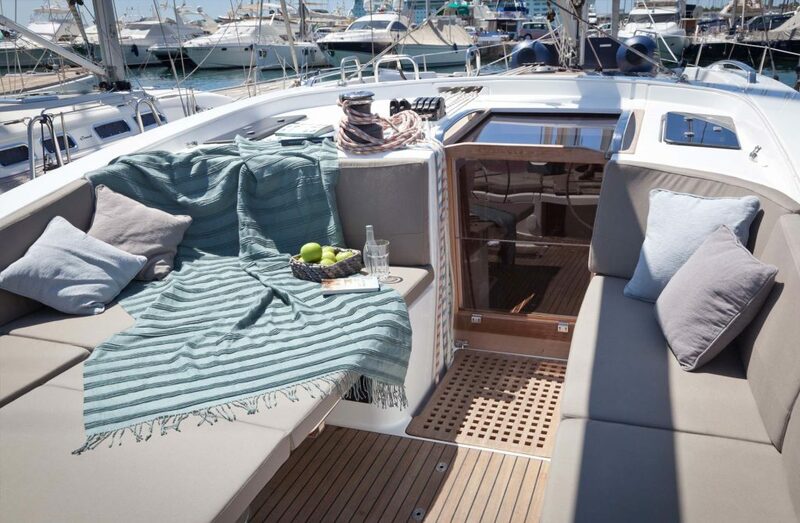 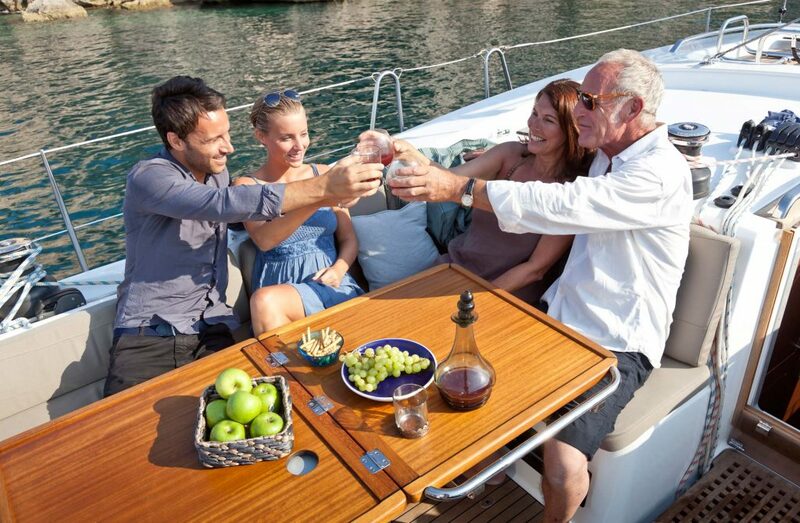 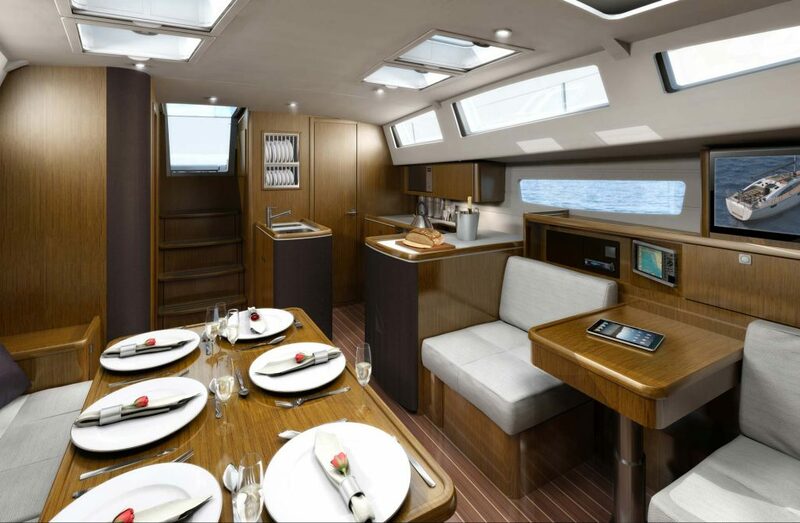 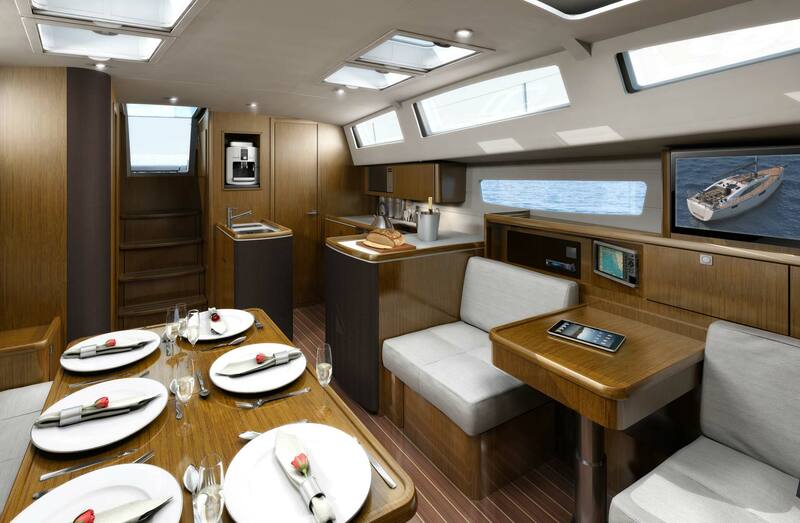 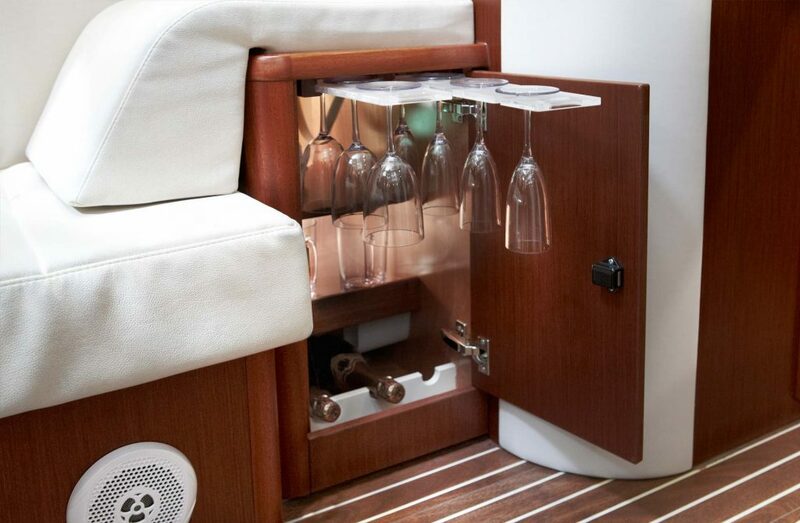 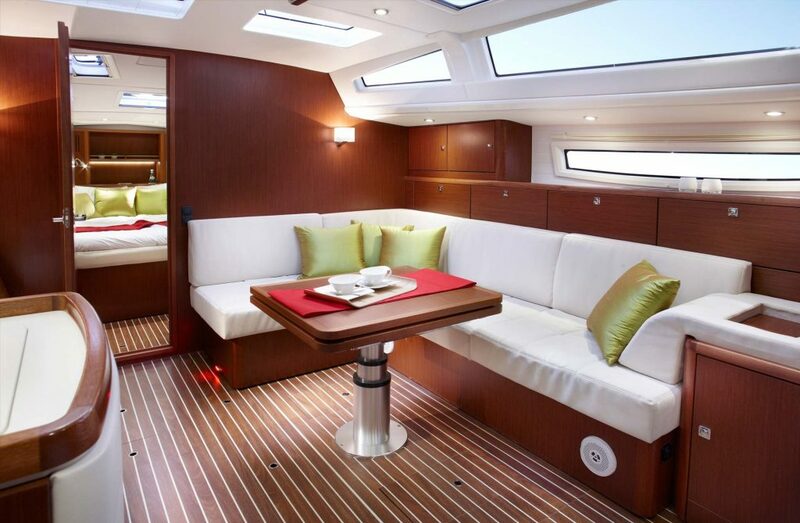 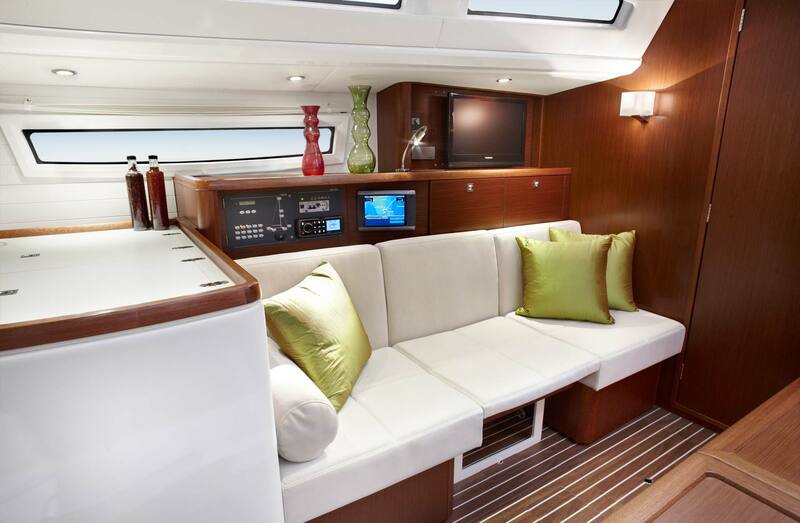 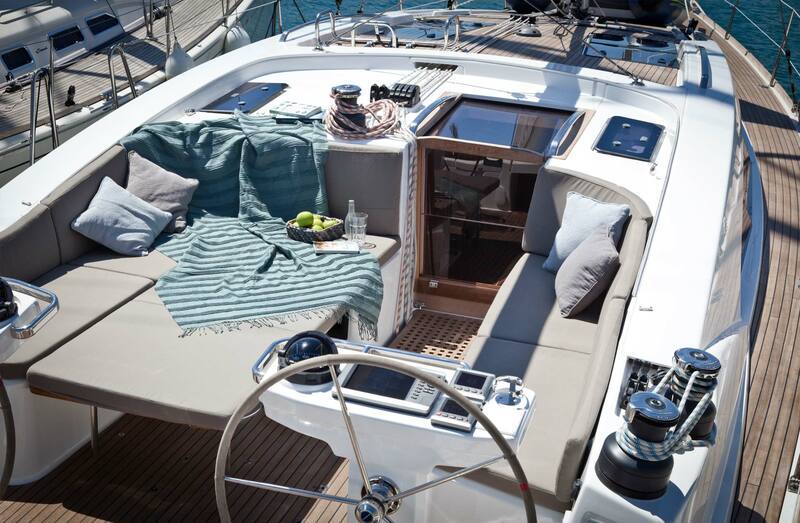 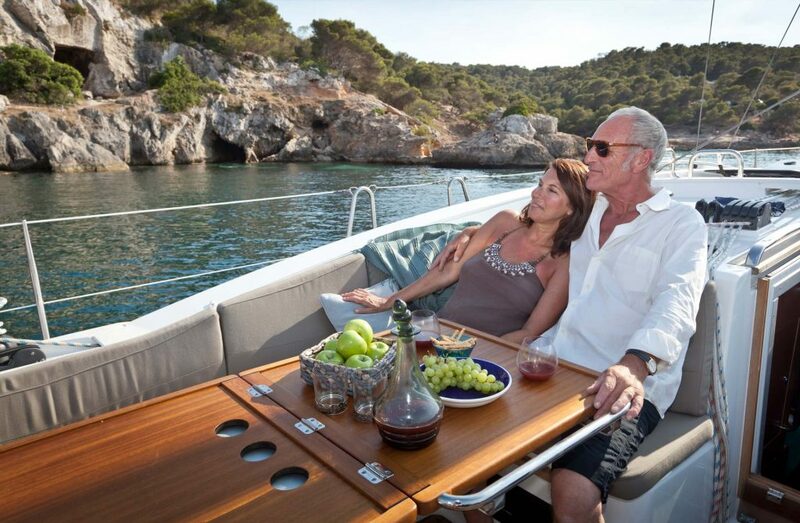 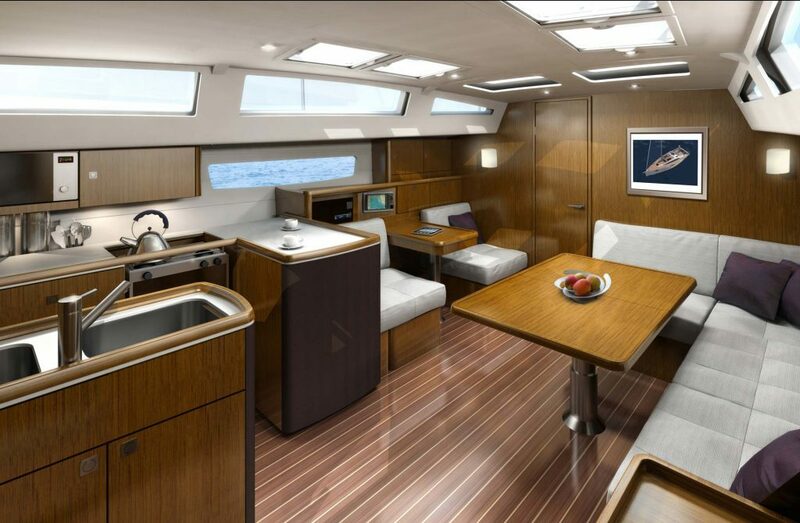 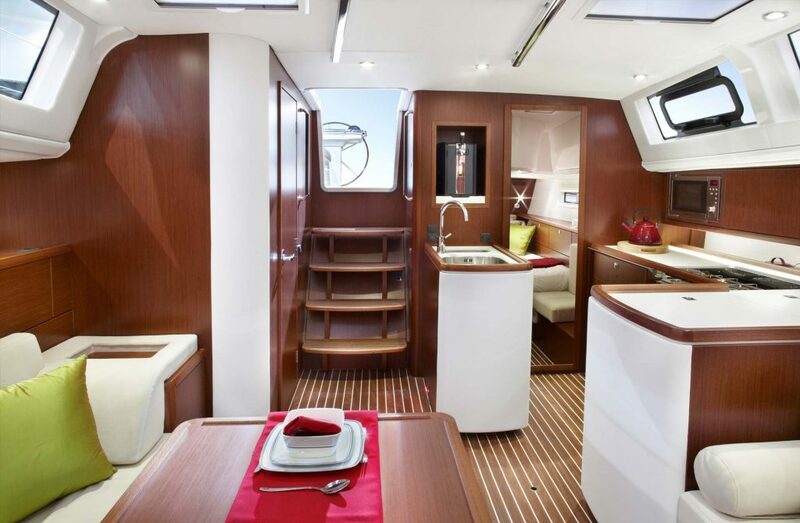 The companionway on the Vision 46 is offset to starboard in the cockpit, which means when you are dining at anchor, you do not have to drop a table leaf to squeeze past when it is time to get below for the next bottle of wine! 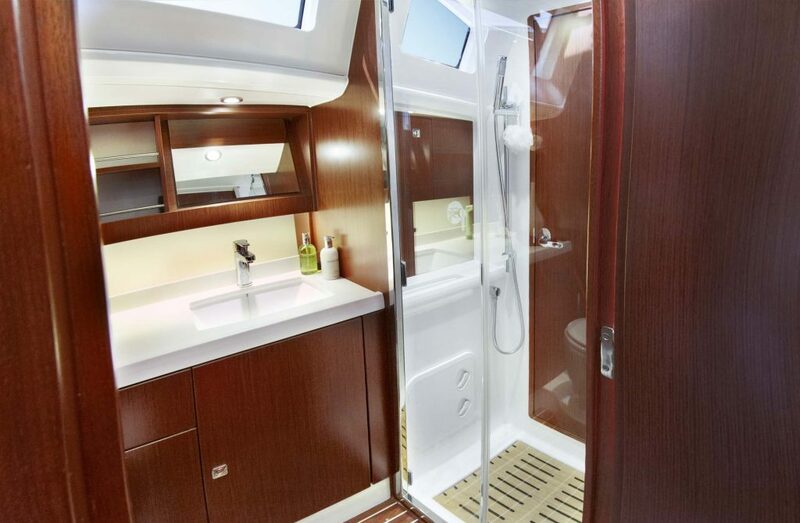 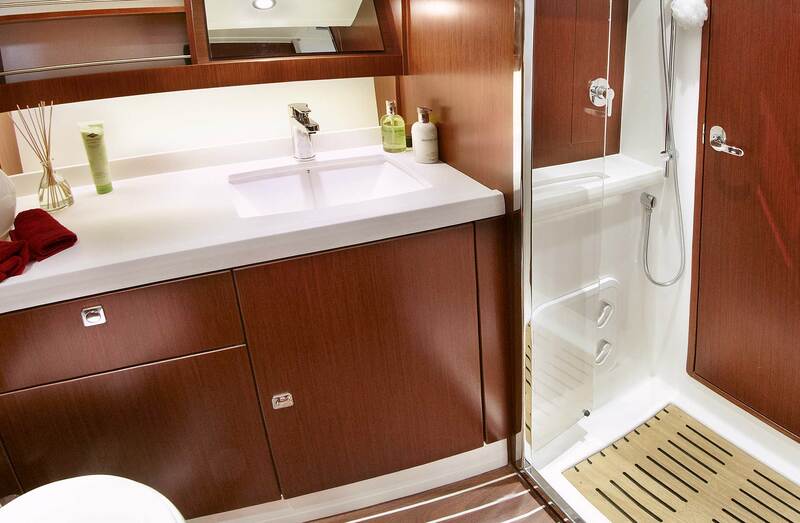 You can even shower on the signature lower-able swimming platform, without holding the shower head, as this yacht has a shower holder on the underside of the helm seat. 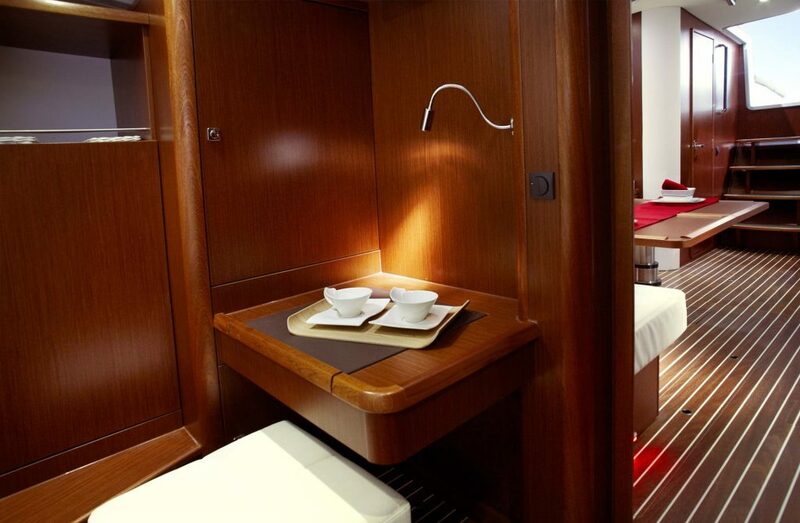 The L shaped galley is functional with generous food preparation areas, and ample refrigeration space. 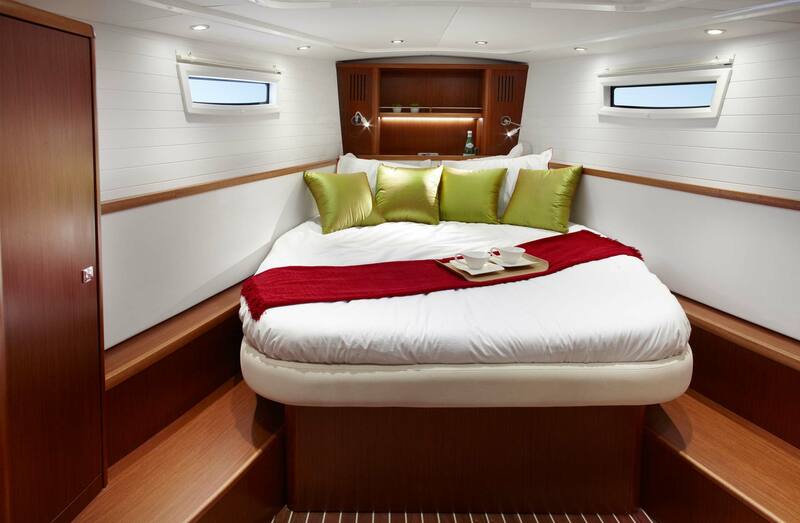 The owner’s stateroom is forward, with a Queen- size island berth, and en suite head and shower. 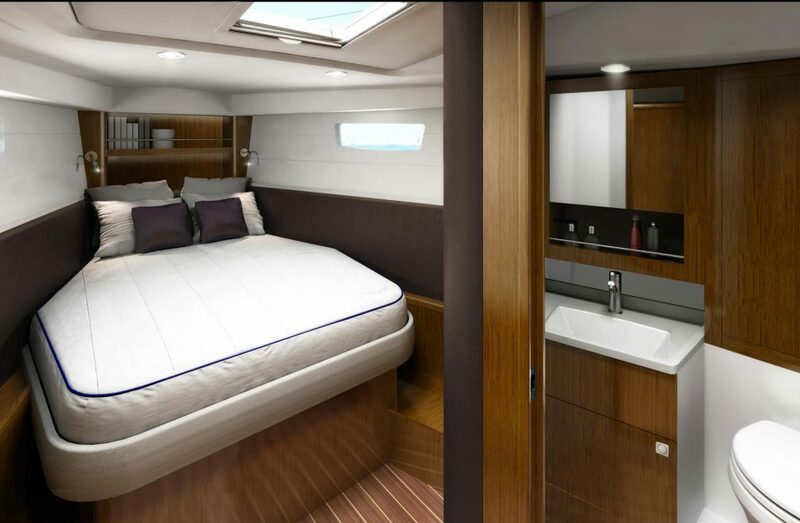 The port aft cabin is a King-size double, which neatly converts to a twin, and there is a smaller double berth to starboard, accessed via the aft head. 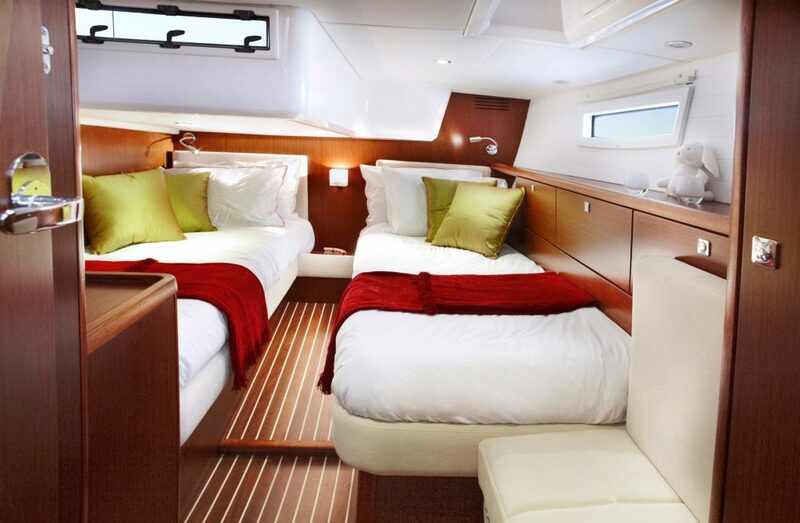 Above this starboard aft berth, you can sleep under the stars, as the cockpit seat above the berth hinges open to give a view of the night sky. 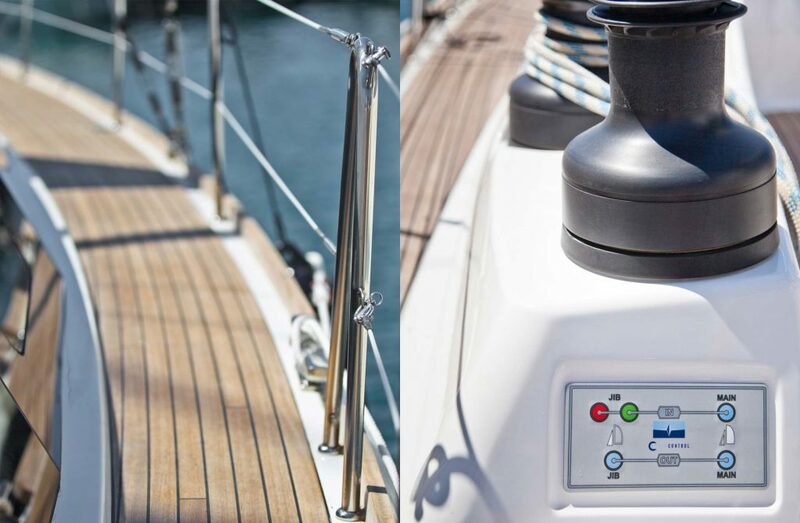 Standard jib furler and double main sheet system. 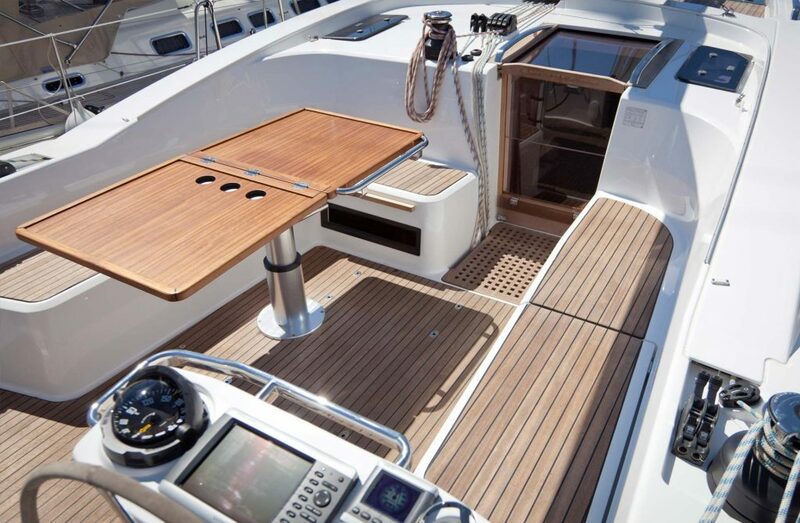 Vacutec is the Vacuum Infusion Technology used by Bavaria during the hull and deck construction, creating lighter and stiffer structures. 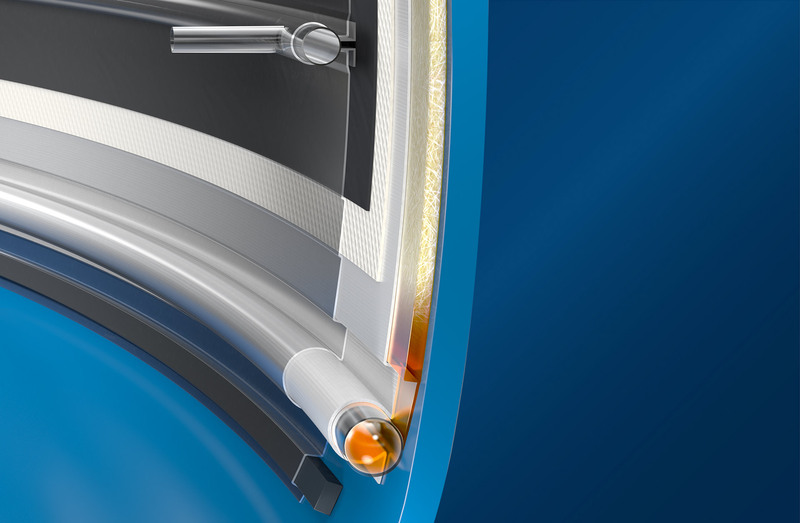 Using Vacuum infusion we eliminate the possibility of air between the fiberglass layers, eliminating any possibility of future osmosis. 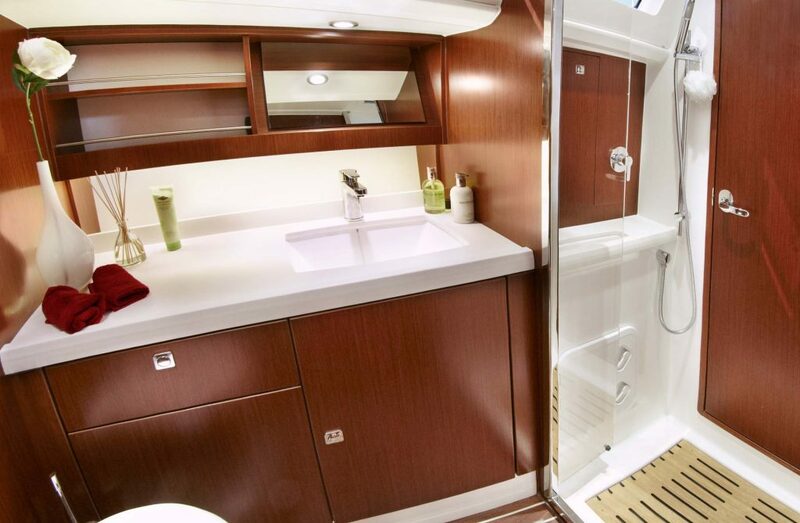 The off center companion way entrance not only creates a large sun bathing area and cockpit table but also allows for a large guess cbin below . 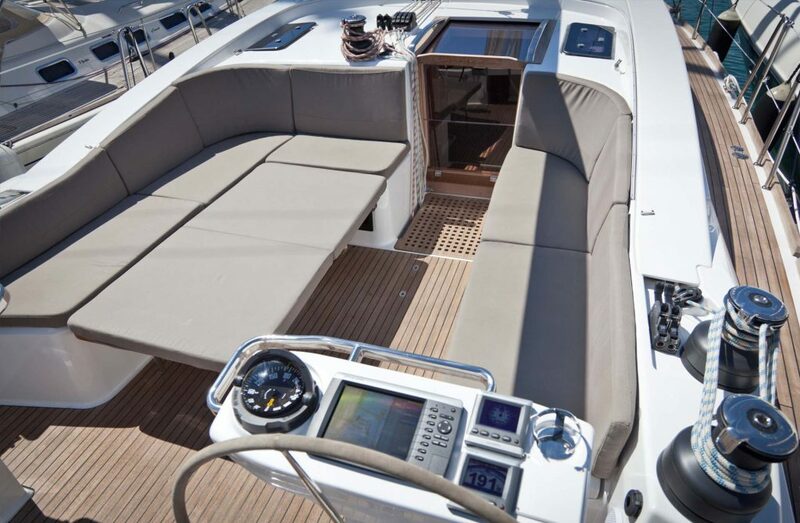 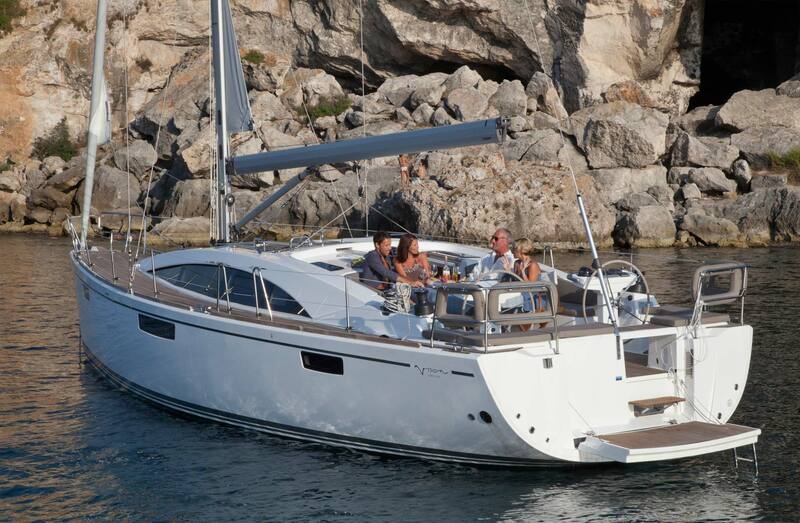 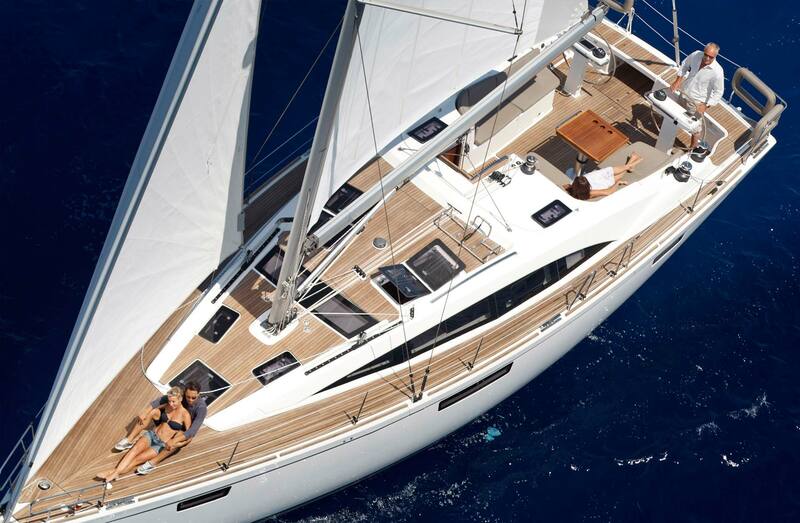 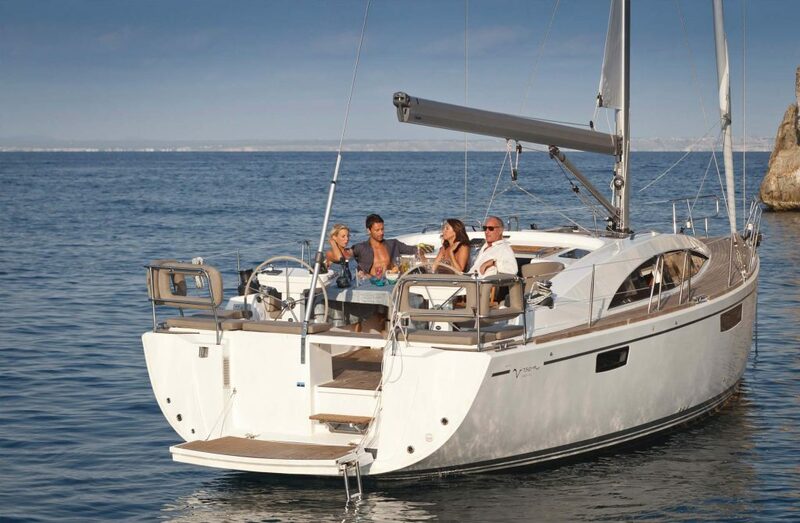 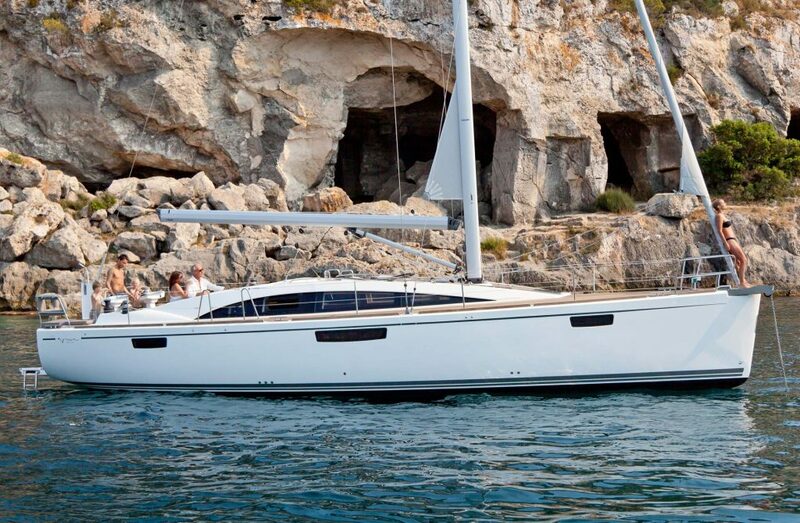 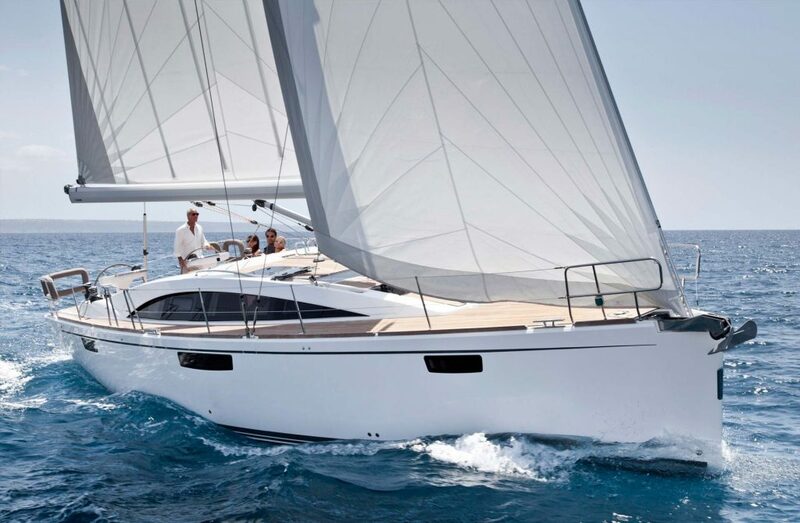 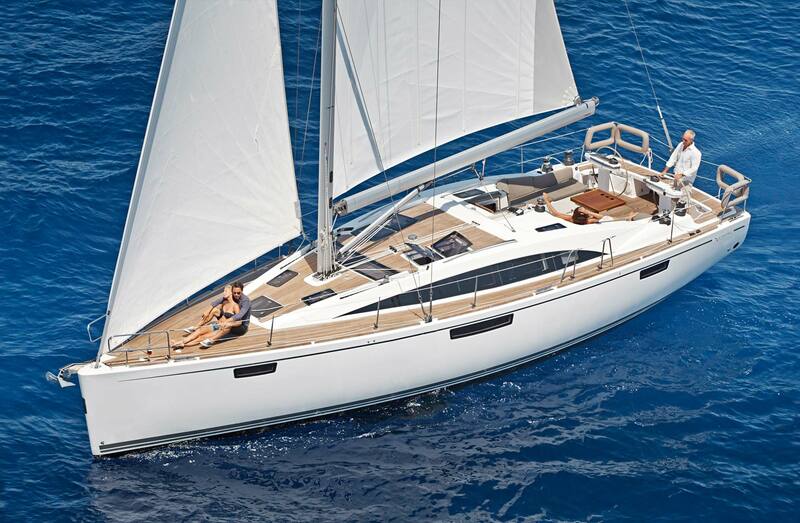 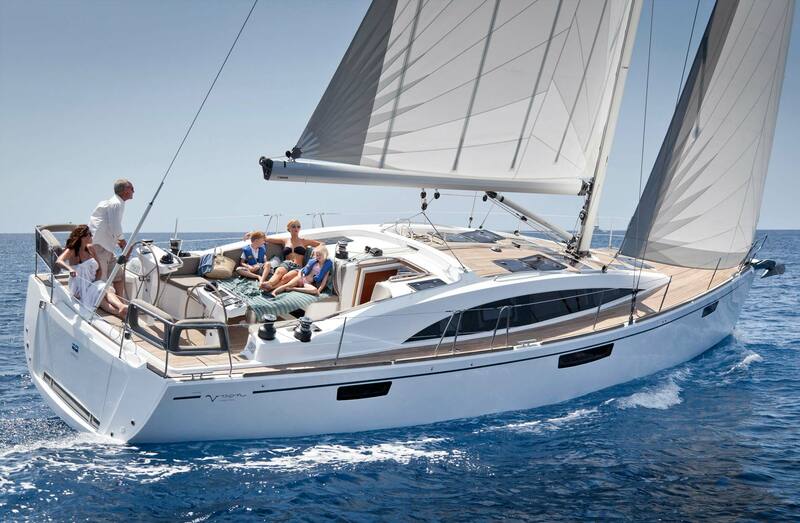 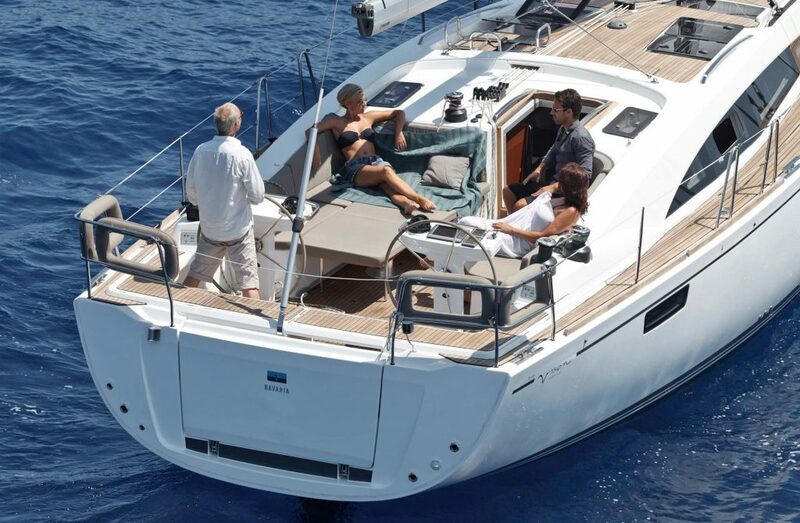 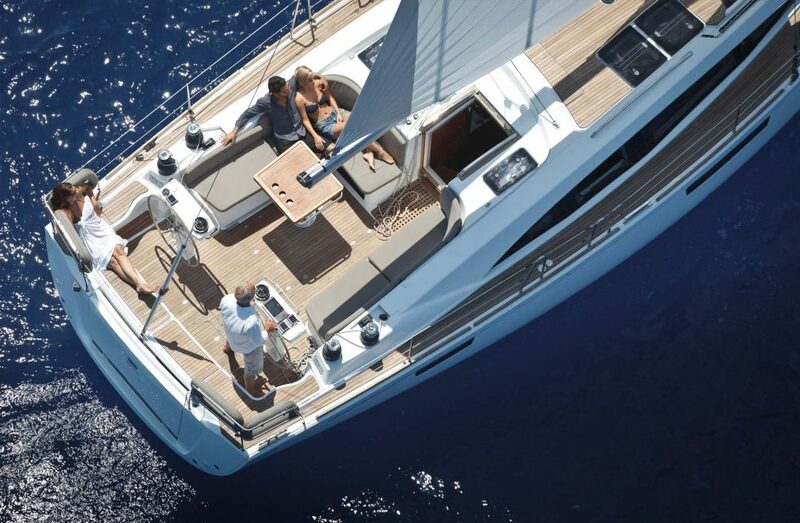 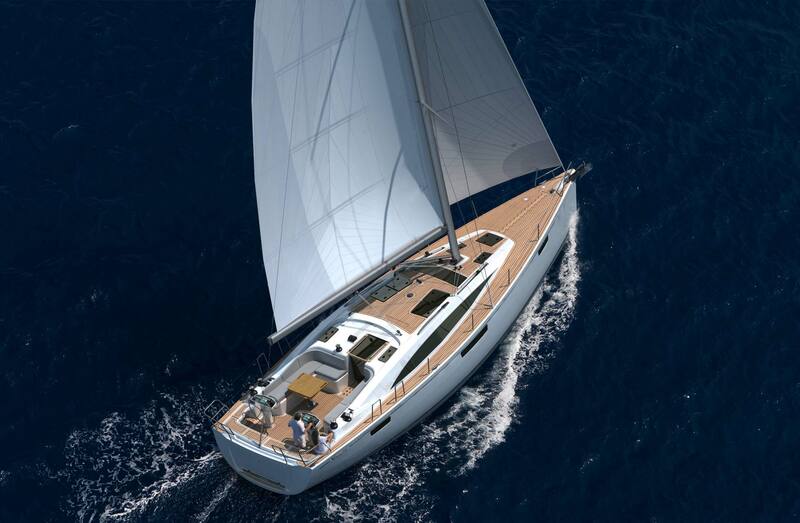 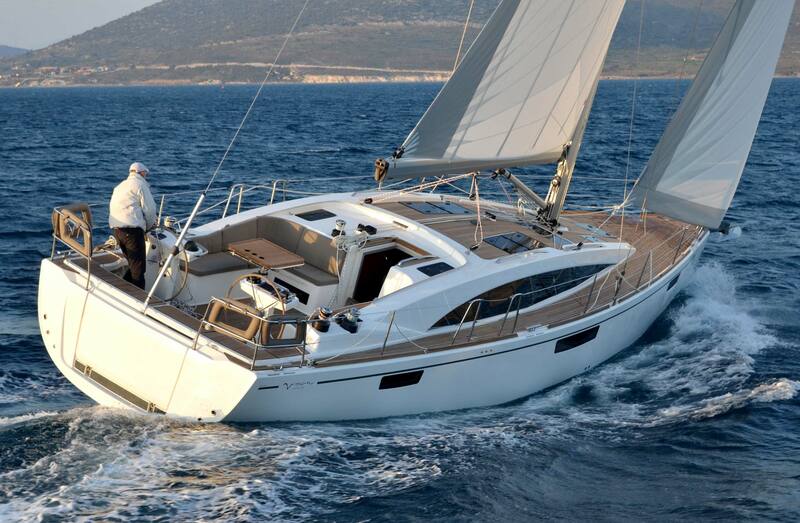 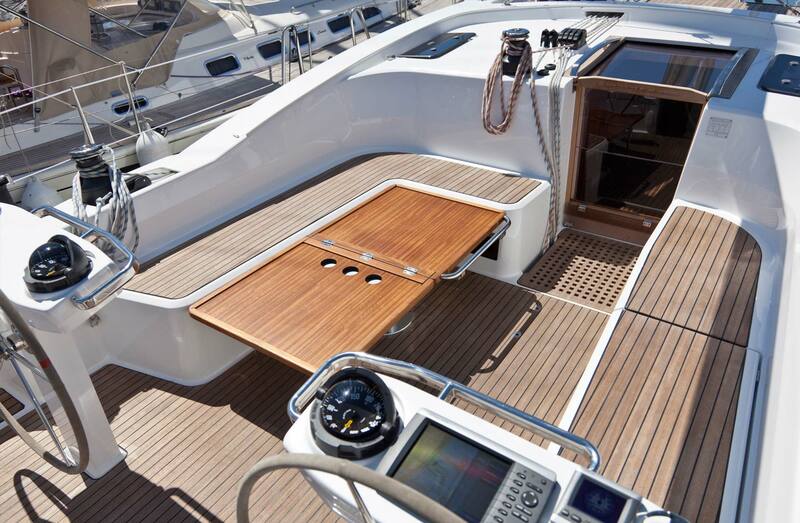 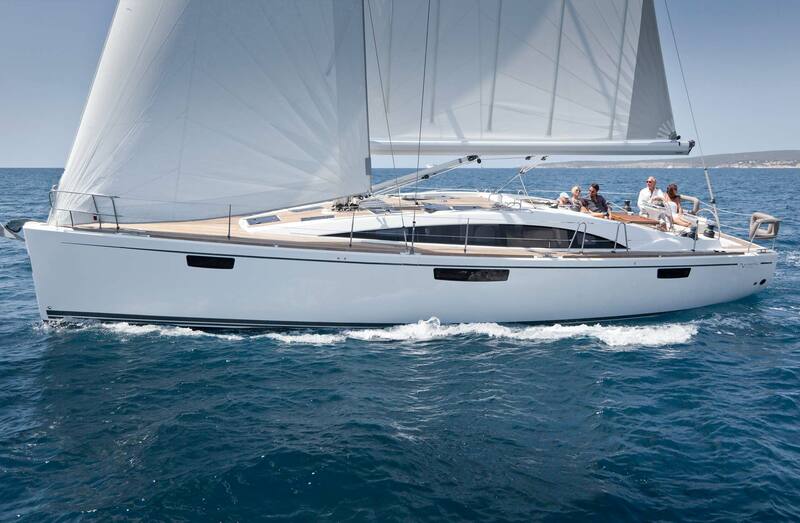 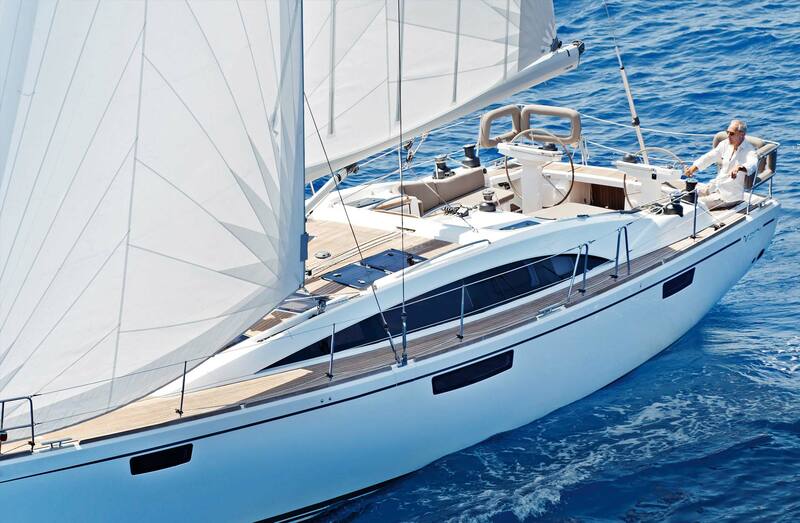 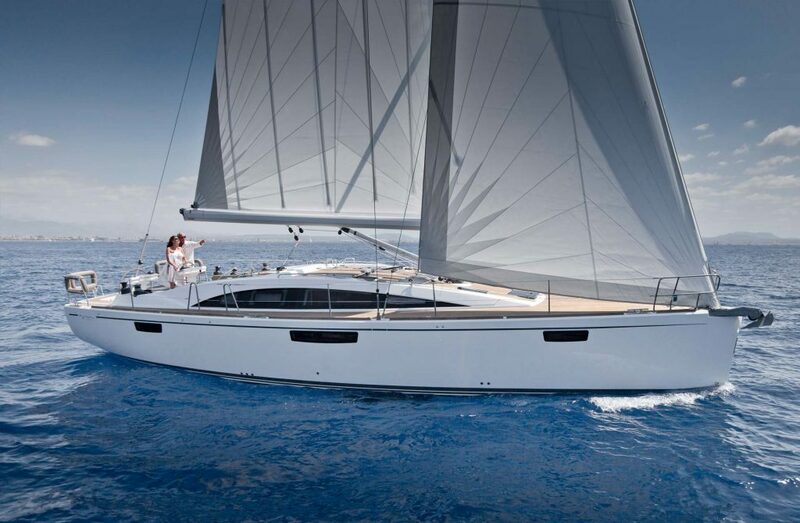 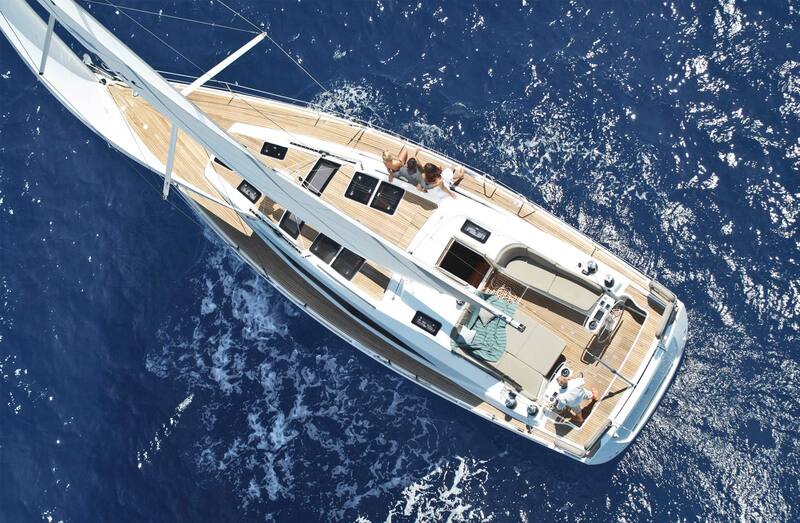 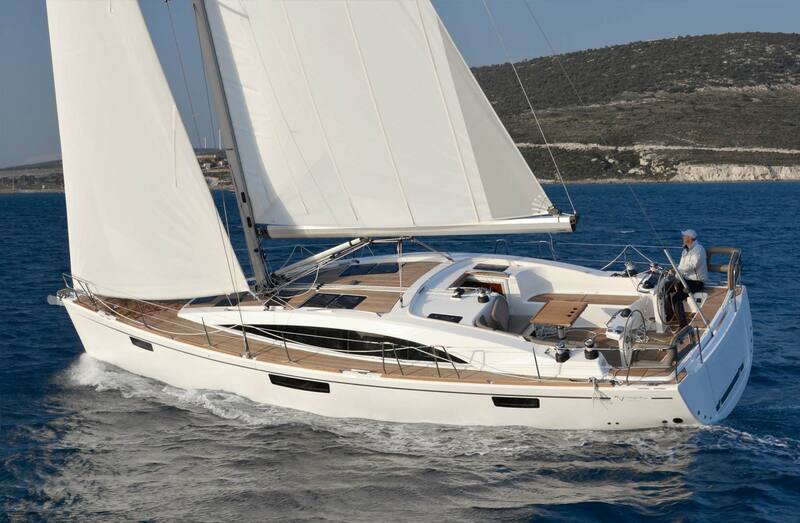 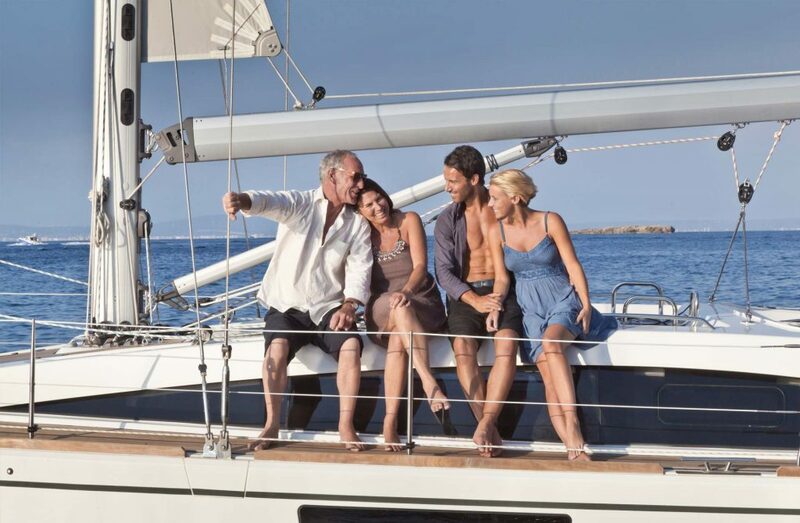 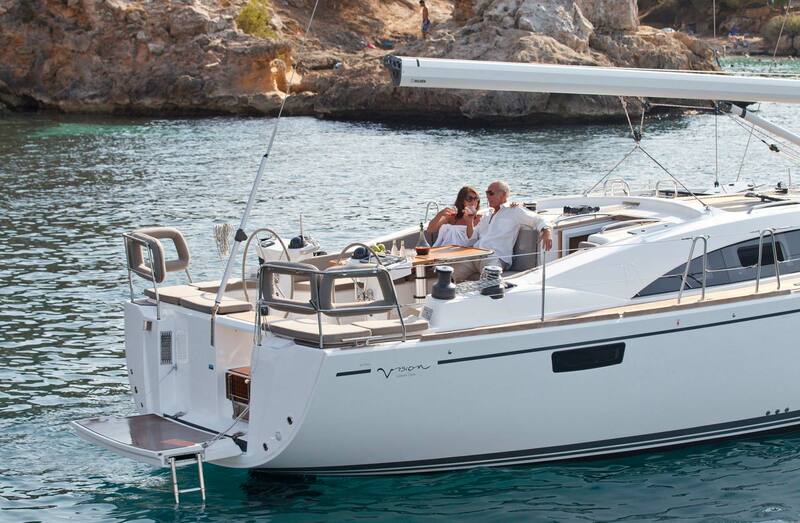 Do you want to configure your dream boat? 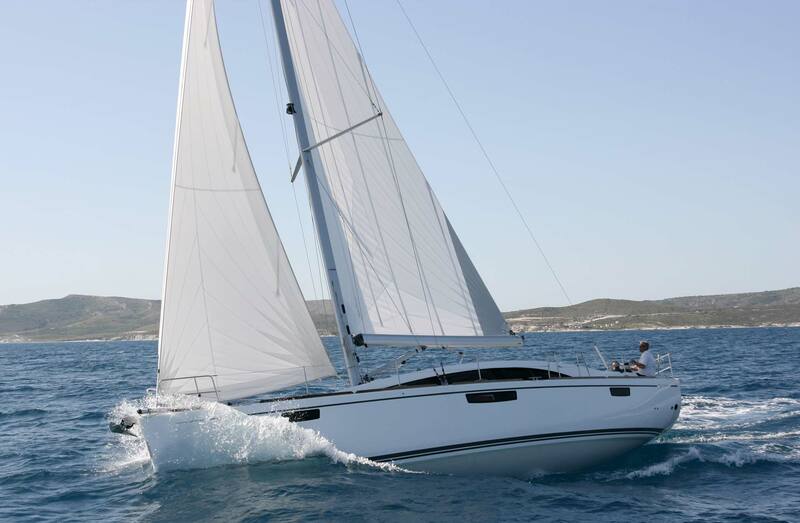 Mainsail and furling jib, standard (approx.) 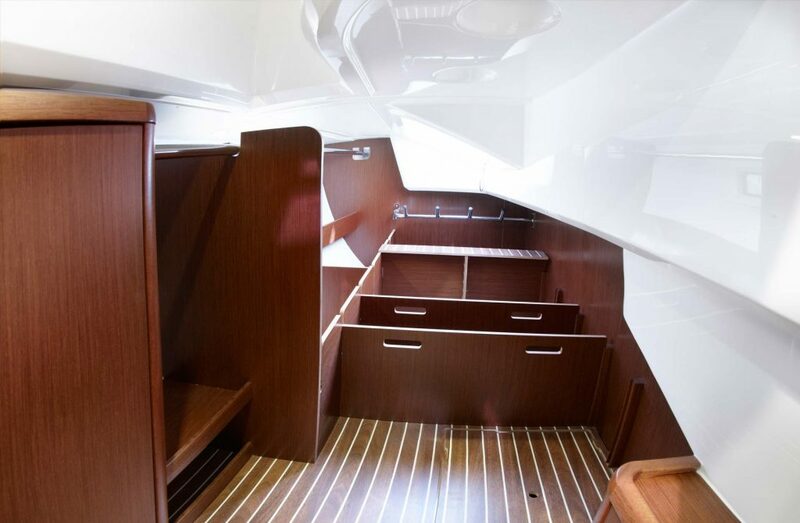 1.108 sq. 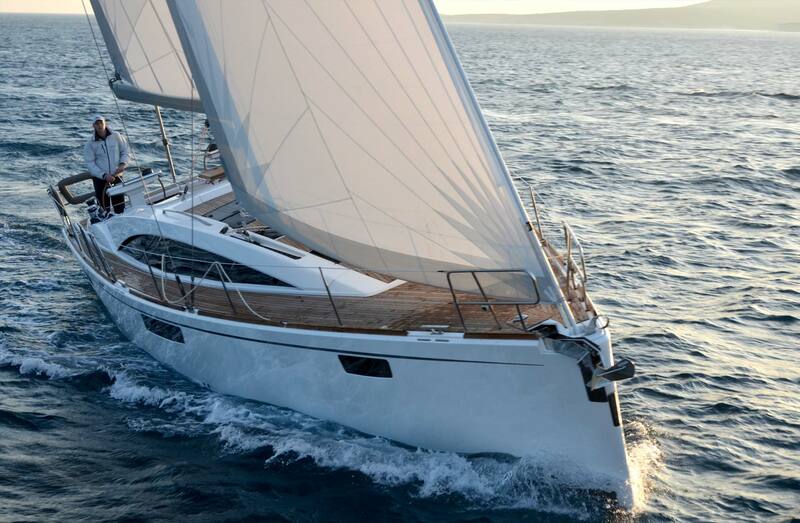 ft.
Do you want to speak with a Sailing Boat Specialist? 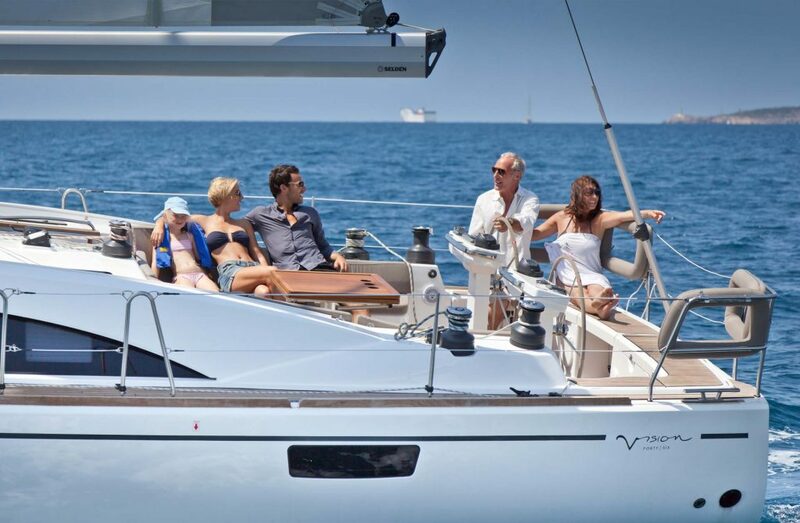 Do you wat to trade in your boat ?